If you train after work, timing your meals and carbs can be confusing. Find out what to eat, when to eat, and how much to eat if you're planning an evening workout! Most people have heard that it's best to start the day with their highest-calorie meal. Your calories and carbs should then taper down as the day progresses. But what if you train after your work day? Should you re-think your meal plan? Whether you're trying to lose fat or build muscle, proper meal timing is just as important as what you eat. Get it wrong, and you may be disappointed in your results. If you're an evening gym goer and like to eat multiple meals per day, read on. It'll help you decide what and when to eat to maximize your energy and get better results. Because you aren't working out until the evening, you don't have to indulge in a giant breakfast. If you're on a plan that limits your carb intake, then your breakfast should be mostly fat and protein based. Vegetables, berries, or both can provide your carbs. If you're not especially worried about your carb intake, then you can include some complex carbs in your breakfast. You want your carb intake to be balanced throughout the day. Unless you're on a high-calorie plan, you should save your carbs for later in the day. Grab a light snack which consists of lean protein and a small dose of healthy fat. Add some veggies, if you prefer and make sure to stay hydrated. Your lunch meal will depend on your goal. 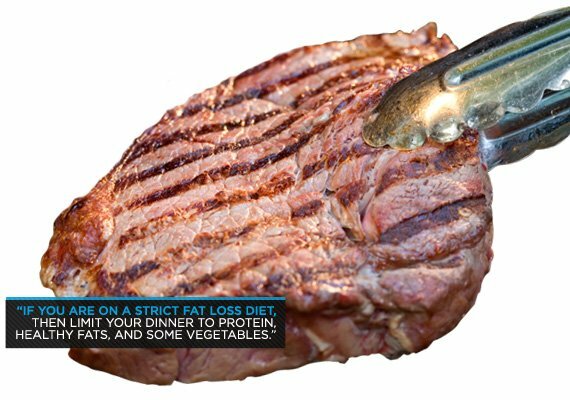 For fat loss seekers, your meal should be based on healthy fat and lean protein. Add at least a cup of vegetables for some low-calorie carbs. If you're building muscle, add a moderate amount of complex carbs. Even when you're building muscle, you're better off using your carbs nearer your workout. That's when you will use the fuel and when you're most anabolic. This is the time to prepare your body for the workout ahead. You need an energizing meal that sticks with you but won't weigh you down. If you like solid food better than a shake, eat this meal two hours before you train. If you prefer liquid shakes, drink it 30-45 minutes before your workout. This meal should include lean protein and complex carbs, easy on the fat. You need carbohydrates that release energy slowly so you can sustain your blood glucose as your workout draws upon it. If you're dieting, the majority of your carbs need to be ingested after your workout. This will ensure that they're being used to restore muscle glycogen levels and aren't being stored as fat. If you're on a building plan, load up. If there's one time that it's okay to overfeed, this is it. Make sure you eat a fast-acting protein source like whey isolate protein powder. Your carb source should be a mixture of simple and complex carbs so you get a quick glucose spike followed by longer-lasting energy. If you have insulin issues, stick to complex carbs so you can avoid blood sugar crashes. For this meal, keep your fat intake low. You want insulin levels to drive carbohydrates into the muscles; having fat in your system slows down the process. 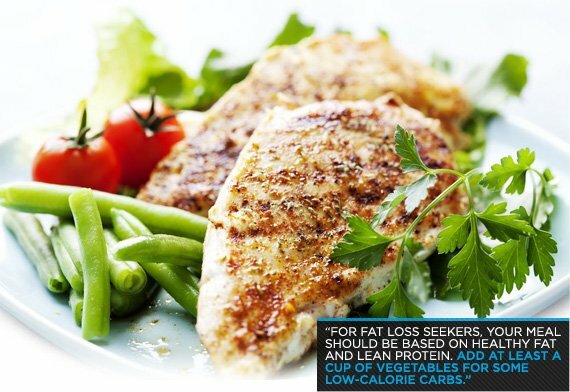 As long as you aren't on a strict fat loss plan, your dinner should also contain some complex carbohydrates. Make sure it's a moderate serving size. These carbs will help make sure your body is fully recovered. If you are on a strict fat loss diet, then limit your dinner to protein, healthy fats, and some vegetables. Forego carbs before you sleep. It'll help ensure you don't wake up in the middle of the night due to low blood sugar and will help prevent unwanted fat gain. If you eat a meal before bed, it should consist of casein protein powder or a slow-digesting animal meat like steak or salmon.